Our lymphatic system works in conjunction with our immune system to rid our bodies of toxins and foreign invaders. The catch is, this system does not operate with an internal pump so relies solely on physical movement or breathing to get the interstitial fluid and lymph moving and draining. A stagnant, clogged lymphatic system can lead to many health issues including edema, swelling, fatigue, headaches, arthritic pain, digestive issues, and chronic disease, including cancer. Imagine if you took a bath every night, but failed to drain the tub, instead, got into the same water night after night. What would that bath water look like after a few days, months or even years?! The same idea is true for our lymphatic system, as we want it to clear out and drain regularly to rid the body of the toxic wastes we filter and create clean, new lymph fluid to support our Immune system. MindBody Balance offers two lymphatic drainage therapies. Aromatic Lymphatic Massage is done by a certified aromatherapist and is a 1 hour head to toe massage with a custom made essential oil blend to target the specific health concerns of the client. The light to medium pressure massage stimulates the movement of the interstitial fluid of the lymphatic system and the essential oils do the deep tissue work and help to support specific systems in the body. Although the blend is custom to suit the health profile of the client and there are over 80 oils to choose from, commonly used oils include cypress, juniper berry, lemon, eucalyptus, thyme, birch sweet, marjoram and peppermint. Many clients have reported significant improvements in muscle aches/pains, circulation, fluid retention, congested lymph, sleep, stress levels and over all feelings of wellness. 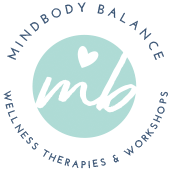 MindBody Balance also offers Bodytalk JVLD method of lymphatic drainage which is specifically taught as a gentle lymphatic technique that focuses on the movement of the interstitial fluid, not the lymph itself or the vessels. The technique creates a vacuum of negative pressure so as to create a wave of movement of interstitial fluid, clearing out the old, stagnant fluid. Clients may have the technique performed directly on the skin, on top of clothing or energetically; all of which produce phenomenal results of improved lymphatic system function. After either treatment, clients are encouraged to hydrate well for 72 hours as to avoid headaches from the detoxification of the body. It is also suggested to bath in 2 cups of Epsom salts following a treatment to help draw out any toxins released. Clients may notice an increase in urine volume or change in smell, increase of bowel movements. It is also common to feel an increased level of energy and to have improved sleep. The effects of the detoxification of the body may be felt for weeks afterward.